Lindahls is located in Spiralens shopping center in Norrköping City. Here you can get everything you could ever wish for in a pastery shop, from buns, classic cakes and sandwiches. 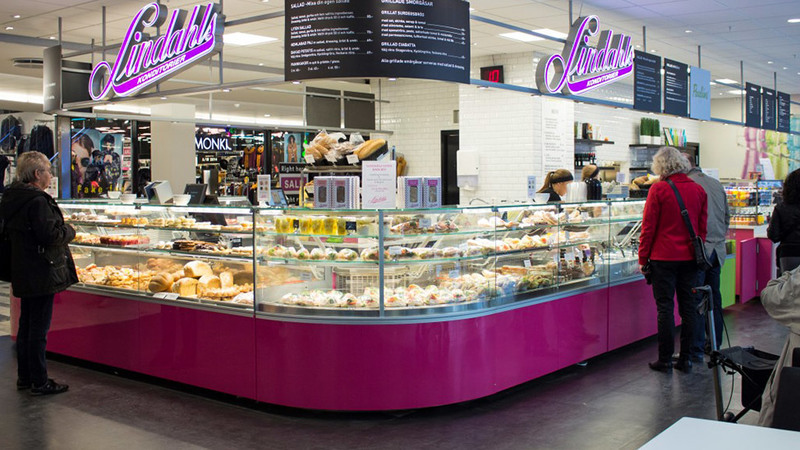 At Lindahls, you can buy fresh Danish pastry, delicious pastries, good bread, light lunches, grilled ciabatta, delicious sandwiches, etc. They also serve homemade ice cream.